Please enter your details then click the Send button. Industrial level heavy duty water treatment plants, with output capacity of 5000 GPD to 100,000 GPD. 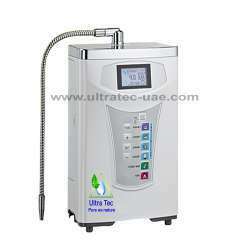 The mid range UltraTec RO water filtration plants with/without UV. Output capacity 200 GPD to 1,000 GPD. We have been supplying, installing and providing maintenance services for all kind of water treatment plants such as Reverse Osmosis plants, Water softeners, Irrigation filters, UV sterilizer, Water ionizer, De-ionizer, Demineralization plants, Carbon and sand filters. We are one of the main supplier of all kind of parts/accessories for RO water plants such as replacement filters, RO Membranes , Antiscalant chemicals and Filter media. We are capable of undertaking the basic engineering, detail engineering, operation and maintenance of various water treatment projects at very reasonable & competitive cost. 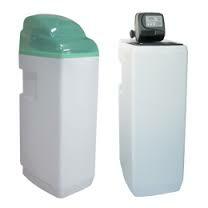 Water softening is the removal of calcium, magnesium and certain other metal in hard water. The resulting soft water is more compatible with soap and extend the life time of house hold equipments like water heater, washing machine and dish washer. Commonly referred as RO, a process by which a solvent passes through an absorbent membrane in the direction opposite to that for natural osmosis when subjected to a hydrostatic force greater than the osmotic pressure. 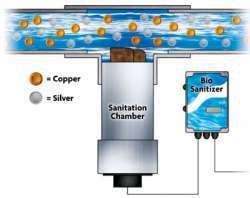 A self-cleaning filter is a kind of water filter which utilizes system pressure to clean itself with wide range of models, variety of flow rates, filtration degree and low consumptions of water. All newly designed models feature state-of-the-art circuitry with the latest digital technology. Certainly, the most accurate and reliable mineral ionization system. 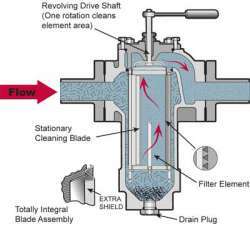 In other term called as DI, a water filtration process whereby total dissolved solids (TDS) are removed from water through ion exchange by controlling the electric charge of ions in the water. A water ionizer can maintain to raise the pH level of drinking water by using electrolysis to divide the incoming water stream into acidic and alkaline components. 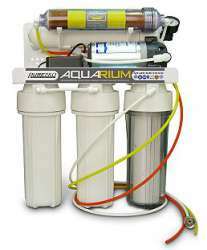 Our Speciality is to design cost effective Water Filtration System that will meet client's requirement. Our Company aim is to build a sustainable and effective Water Purification System based on the end-user needs and within their budget. The sources of parts came from various countries (USA, Japan, Germany, UK, Turkey, Taiwan) with a High Standard Quality and Certifications. Plants are assembled locally by our experienced professional technicians and Engineers.Our passion is to improve quality of life and be recognized locally and internationally by our valued clients, as one of the best water treatment company in the world today.